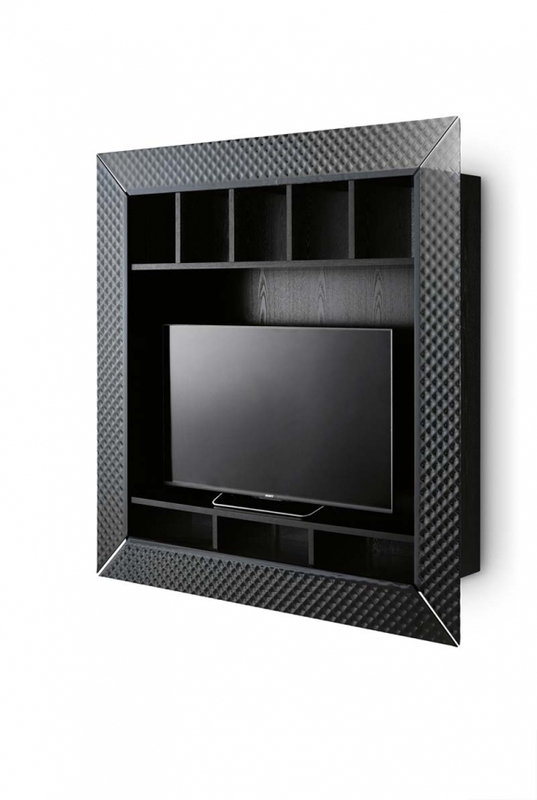 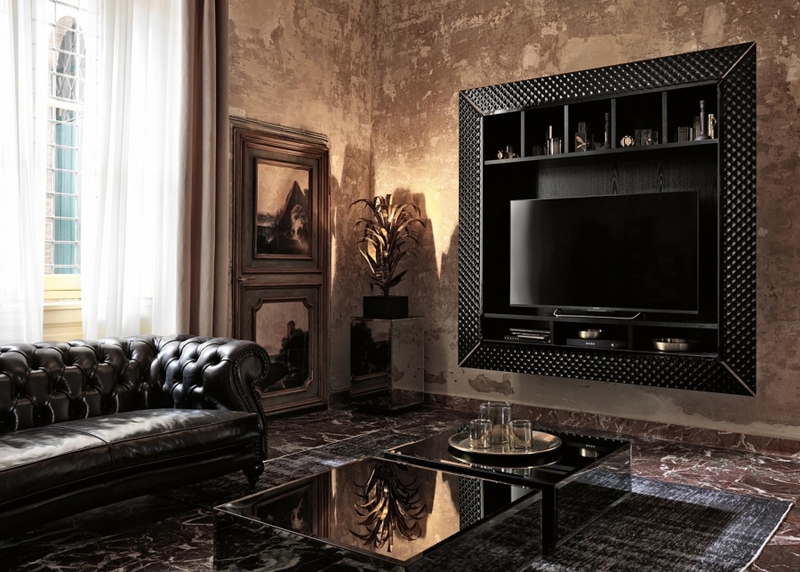 TV wall cabinet with a Black 95 8 mm fused glass frame with a quilted effect. 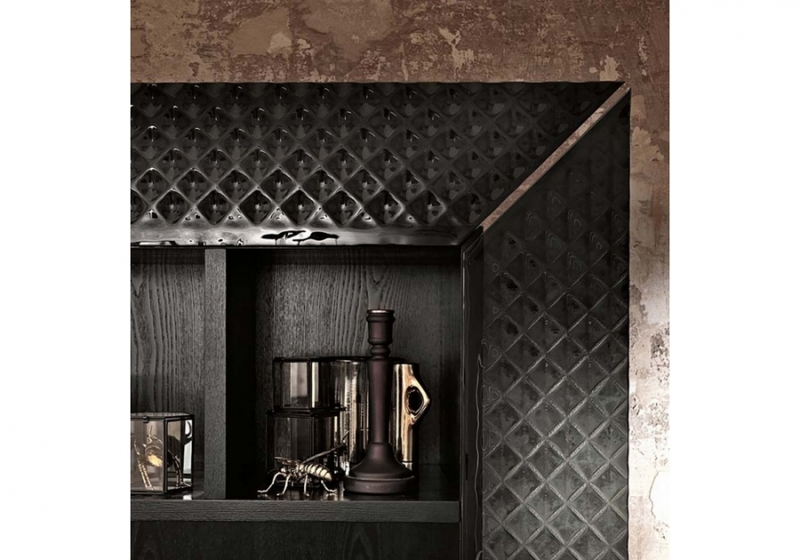 Structure made of open pore veneered ash wood fibre, flamed and painted black. 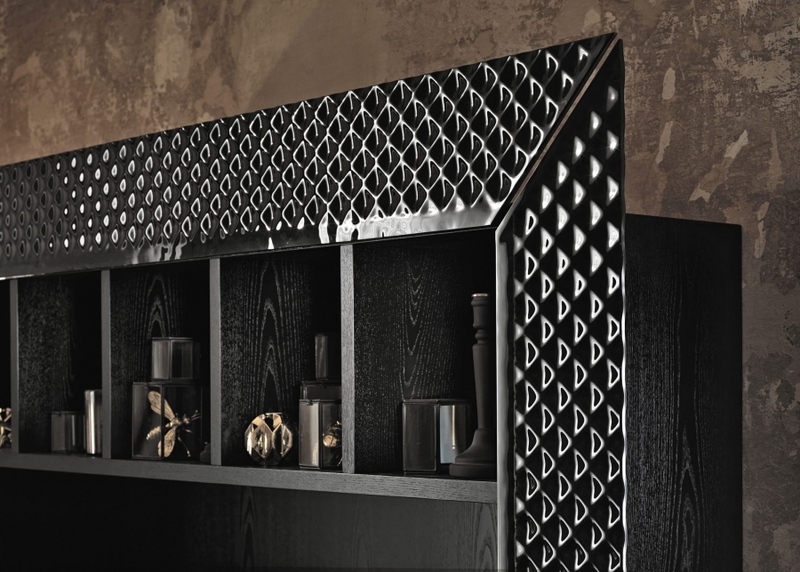 Napoleon is the piece of furniture, refined and with delicate carvings and decoration, intended to embellish any environment.